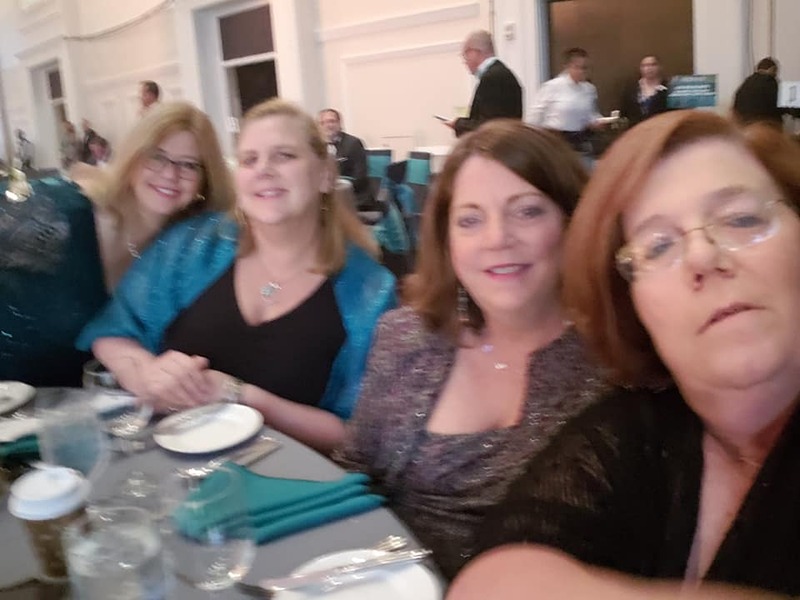 Jen Anderson, Broker/Co-Owner, Mary Eldridge, Co-Owner, Debbie Buckingham and Cindy Taylor joined real estate professionals from across North America recently at the EXIT Realty International Convention at the Gaylord National Resort & Convention Center in National Harbor, Maryland. This convention is an annual event that brings top real estate professionals together to interact and learn from each other and promote discussions about issues and trends in the real estate market. A high point of the event was the special awards ceremony presided over by EXIT Realty Corp. International Founder and Chairman, Steve Morris. "I cannot wait to go again next year," said Anderson. As a real estate professional, I was able to broaden my industry knowledge in a wide variety of issues," said Eldridge. "This is an exciting time to be a REALTOR®," said Taylor. I love being a part of the EXIT Revolution," said Buckingham. EXIT By the Bay Realty is located at 222 Merrimac Court, Prince Frederick, MD 20678. For more information, please call 443-975-7555 or visit our website www.exitbythebay.com.